Celebrated comedy writer and producer Dan Mazer has enjoyed huge success in both television and film over the past few decades. After graduating from Cambridge University where he was part of the world famous Footlights, Dan worked on several of Channel 4’s iconic 90s programmes, including The Word and The Big Breakfast. A frequent collaborator with Sacha Baron Cohen, their working relationship began in 1999 with the Ali G segments on Channel 4’s groundbreaking Eleven O’Clock Show. The show was nominated for many awards including a BAFTA and an International Emmy. Due to the segment’s phenomenal popularity, the character was given his own eponymous show in 2001. As co-creator, co-writer and producer, Mazer won numerous awards, including the 2001 BAFTA and RTS Awards for Best Comedy Show. The show was reimagined for a US audience for two series with HBO, and garnered a total for six Emmy nominations, including Outstanding Variety, Music or Comedy Series and Outstanding writing for a Variety, Music or Comedy series in 2005. In 2002, Ali G Indahouse marked Ali G’s transfer to the big screen, which Mazer co-wrote and produced. His next film collaboration with Sacha Baron Cohen was for the worldwide hit Borat – Cultural Learnings of America for Make Benefit Glorious Nation of Kazakhstan. As well as being a box-office smash, it also received much critical acclaim. Mazer was nominated along with his co-writers for Best Adapted Screenplay at the 2007 Academy Awards. 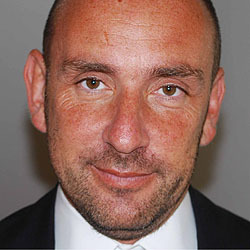 His other film work includes Borat’s eagerly anticipated follow-up, Bruno (2009) and this year’s hit The Dictator (2012). Mazer made his directorial debut with the charming I Give It a Year in 2013. In 2016 he directed Hollywood big hitters Robert De Niro and Zac Efron in Dirty Grandpa. Mazer’s television work includes Dog Bites Man for Comedy Central in 2006, starring Zack Galifianakis, which Mazer created, wrote and directed. Presently Mazer is making waves writing and directing the latest Sacha Baron Cohen phenomenon Who is America? Dan Mazer has consistently broken boundaries, challenged taboos and pushed the buttons of politicians and influencers around the world. Come and find out how he successfully forged and maintains a career rooted in controversy.